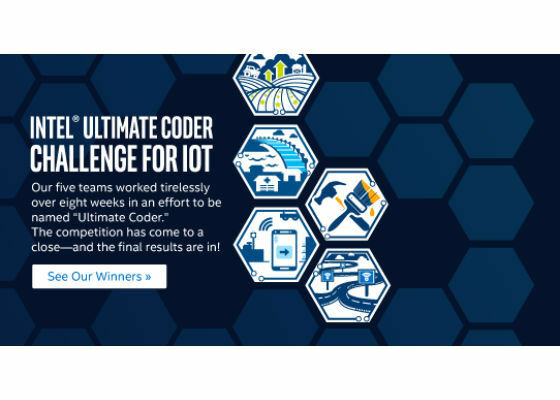 Intel Ultimate Coder Challenge for IoT: What is Team Agro Hackers Up to Now? Each team overcame challenges and obstacles to complete their projects and expand on a larger scale. To learn more about the Agro Hackers and their project, you can view their video presentation from the competition. 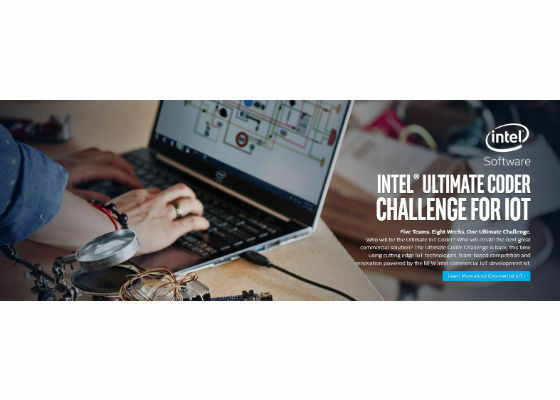 In this update, learn how Team Agro Hackers re-focused their efforts and redesigned their device to further refine their project to be an even more game changing IoT solution. Team Agro Hackers, led by Kalaileesha Letchumanan, is taking their Farm Connect project to a new level – by now integrating their design to be used with drone technology! During the final field, test they realized using a drone as a monitoring vehicle would not only speed up detection, but expand crop coverage. As a result, they are in the process of building their own drone, which carries a camera and sensor modules and is powered with an IA-based Arduino 101* (branded Genuino 101* outside the U.S.) board as the controller for the drone. Their autonomous Dragon drone will be the next generation farming tool for improved crop management. Farm Connect’s focus is aimed at pest and disease monitoring and control via a digital image-based IoT solution. The Crop Disease Monitoring Unit of the solution monitors crop growth on a daily basis and can detect signs of disease. Beyond detection, the IoT solution can identify and classify the crop disease, then recommend suitable solutions using machine learning techniques. In the redesign, Farm Connect captures an image from the High Definition Camera, which is then input into the Crop Disease Identification and Classification Algorithm. The Crop Disease Identification and Classification Algorithm will pre-process the input image, identify the infected part, and then extract the required features. 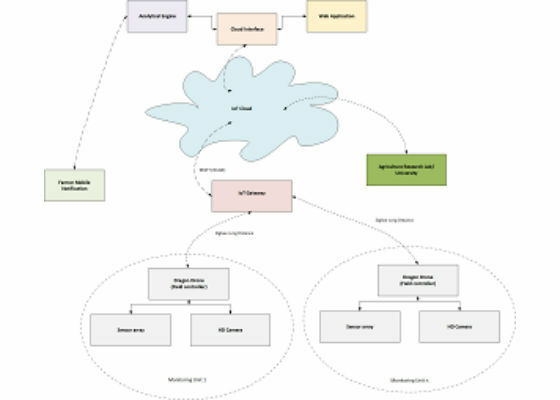 These extracted features are sent to a cloud server via a gateway. Based on a decision engine in the cloud server, the best solution for the infected crops is provided. The crop images are then stored in the cloud server for future reference. Team Agro Hackers created a high-level framework for agriculture applications. By following a top-down approach and subdividing the classifications, the process provides a clear picture of the agriculture industry and helped to quickly identify key problem areas. The intent was to target the areas of disease and pest management. By creating a framework to identify the key problems, the solutions became much easier to process. and more applicable to other crop types and geographical locations. 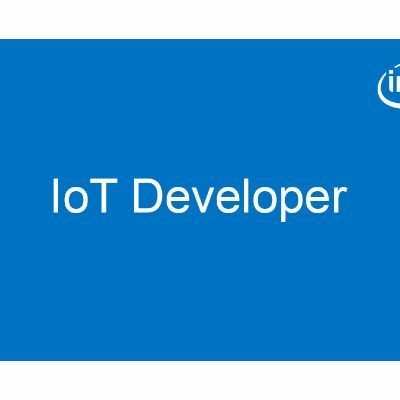 The design model standardizes IoT-based agriculture applications and creates an end-to-end framework which the developer community can easily apply to other agriculture stages, such as Resource Management, Crop Management, and Pest/Disease Management. Team Agro Hackers has explored many approaches in solving agriculture issues. 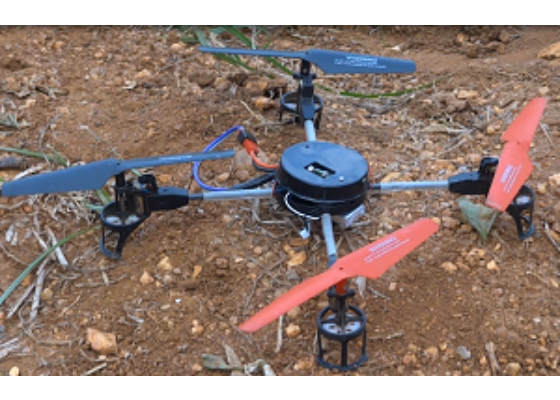 To address pest and disease management, they used a bot concept to explore crops and to gather data by refining their concept to be used with a drone. The approach sped up detection and expanded crop coverage. Team Agro Hackers not only addressed the issues at hand, but set up the flexibility to tackle future problems farmers may face in agricultural management. MY laptop doesn\'t finish restart successfully. Now what to do?